Brendon Thomson was the top stack in last week's HORSE tourney here and 2nd in the Omaha. His mixed-game prowess continued as he claimed the Event 5 - $365 Omaha8 #TVWSOPCircuit title last night for $11,506 and the coveted WSOP Circuit ring. 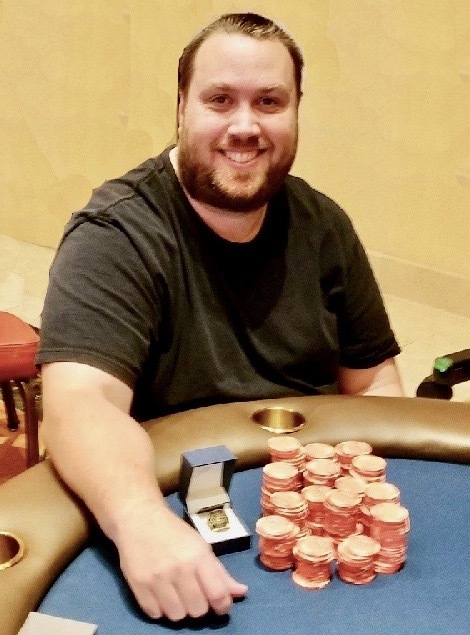 Thomson outlasted a field that included 2015 WSOP $10k HORSE champ Andrew Barber, Allen Kessler and 85-year-old Tahoe Andrew - who won back-to-back WSOP Bracelets in 1976. Here's all the results from Event 5 - $365 Omaha8 with $25,000 Guaranteed.